You know that feeling when your legs are screaming to stop? Sweat is pouring off of you, and you finally succumb to all signals to stop running once you hear the beep of your watch. You look down at your watch, gasping for air, and realize that you just nailed a PR. You know that feeling, right? Well, the foundation of continually ticking off PRs starts with consistent strength training. For runners, from the beginner to the most advanced, battle-hardened ultra-marathoner, cross-training is the only way to ensure that every muscle group stays strong and safe. Without a solid strength background, it’s unlikely that you can achieve the holy grail of injury-free running. That’s why we’ve developed specific, concise strength-training workouts that you can do from anywhere you have access to the Web. For many, injuries are a certainty of running. While running injuries may be here to stay, they don’t have to be a constant in your life. Shield yourself by building stronger muscles in a way that specifically translates back to running. The most common injuries often stem from underused areas of the body, like weak hips, which can be addressed with a regimented stretching and strength-training program. For runners, this means creative weight-training workouts that take a whole-body approach. Because we at RunSmart Online focus on movements, not muscles, our running and strength-training workouts lead to a better carryover to performance. Do you want to get faster? Stronger muscles provide the best results, plain and simple. That’s why you need strength training. For runners who want to get faster without necessarily putting in more miles, creating a host of other risks (i.e. injury), adopting a running and strength-training schedule is the way to get it done. For distance runners and sprinters alike, strength training leads to better endurance. It’s time to step up to the plate! We have more than 18 hours of strength workouts online to make you sweat, groan, and smile. It’ll all be worth it when you look down at that watch. Most runners try to bank time in races, but what if you could bank time in life? Drop the time you spent commuting to the gym while dropping time at your next event with our online, streaming strength-training program. For runners who want to have a balance-building or lifting program within arm’s reach at all times, RunSmart Online has hours of video that can be streamed right to your favorite device. Sign up today to try our programs free for two weeks! 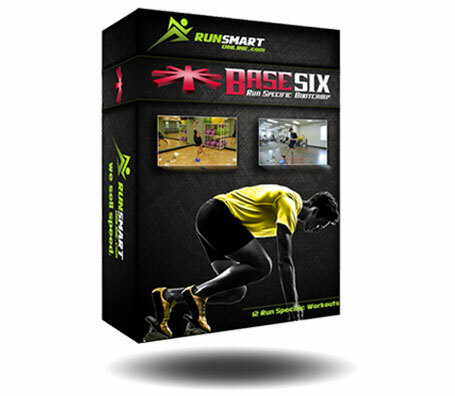 Our RunSmart BaseSix Bootcamp is designed to promote strength and balance in runners. The program consists of 12, 30 minute video workouts and requires zero equipment. The program was designed by Physical Therapist, BQ-Runner, and Founder of RunSmartOnline.com Steve Gonser DPT. RunSmart Yoga was specifically designed with you in mind. The movements and postures flow in a way to target common tightness and muscle imbalance found in runners. RunSmart Yoga isn’t about static posturing filled with ‘om’ chants. You’ll quickly learn how much you can accomplish in these short workouts. Bring your A-game. To Learn More, Click Here. 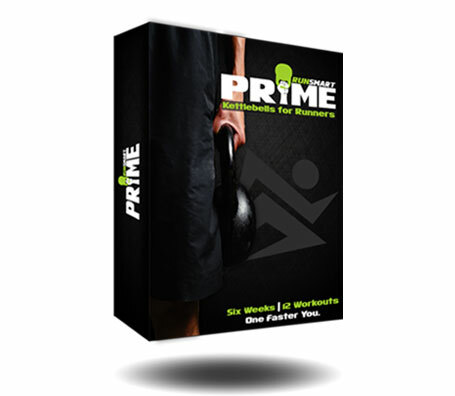 PRIME is a six week, 12 workout kettlebell strength program for runners. Designed by physical therapist Steve Gonser, PRIME will help you improve your balance, strength, and endurance–allowing you to run faster, stronger, and with less injury. To Learn More, Click Here.